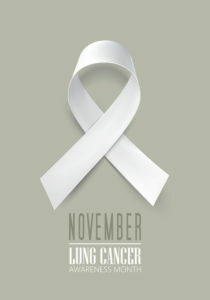 As we observe Lung Cancer Awareness Month, it is important to understand the various causes of lung cancers and work hard to promote awareness about how and why these types of diseases occur, how to avoid them, and what our treatment options are. Fortunately, support communities across the country are coming together for just this very purpose. Asbestos exposure can increase your risk for lung cancer. While not exclusive to the lungs, mesothelioma tumors often affect a thin lining around these organs, known as the mesothelial tissue. When affecting the lining around the lungs, this type of cancer is known as pleural mesothelioma and occurs in about two-thirds of mesothelioma patients. Is Asbestos The Only Cause Of Mesothelioma? While cancer diagnoses are best made by trained, experienced oncologists and pathologists, the causal link between exposure to asbestos and developing mesothelioma has been known for many decades. Mesothelioma is often referred to the signature disease of asbestos exposure. In other words, mesothelioma is a rare form of cancer and when a diagnosis is made, asbestos exposure is investigated as the cause. Asbestos is a mineral once popular in many industrial and commercial products, particularly as an insulation due to its heat-resistant properties. Applications of the dangerous mineral included auto parts, flooring, siding, and military settings, which created the possibility that millions of Americans could have been exposed. The two sides in a class action asbestos exposure lawsuit recently agreed to an $80 million settlement just days before the trial was scheduled to commence. The settlement sets a record for the largest medical monitoring fund ever created in the state of Missouri and could provide services to up to 7,500 individuals who may have been exposed to asbestos. The case stems from renovations on the Jackson County Courthouse between 1983 and 1985 when potentially thousands of individuals were exposed to asbestos during the project. One of the lead plaintiffs, a Jackson County Courthouse worker, claims the floor she worked on was almost completely covered in asbestos by workers who tracked the deadly mineral around when the failed to follow any sort of safety protocols. While the defendant U.S. Engineering claims no one was harmed by the renovations almost 30 years ago, at least one death has been linked to asbestos exposure at the site. In 2011, the family of an administrative worker at the courthouse recovered $10.4 million in a settlement with the county and U.S. Engineering after the victim passed away from mesothelioma. A Los Angeles jury recently made headlines after awarding $18 million to a plaintiff claiming asbestos-laced talcum powder was to blame for his mesothelioma. The 68-year-old former Los Angeles political figure claims he developed mesothelioma from coming in contact with talcum powder at his father’s barbershop where he would visit and spent time working as a child, stemming all the way back to the 1940s. The defendant, Whittaker Clark & Daniels, was just one of many parties the plaintiff intended to hold responsible for his health issues. The plaintiff claims he was exposed to asbestos-laced talc in common hygiene products like Old Spice, Clubman, Kings Men, and Mennen Shave Talc. The 12-person jury ultimately found Whittaker Clark & Daniels 30% at fault for the plaintiff’s mesothelioma. The verdict is also significant because the jury awarded the victim $3 million more than named in the suit and could have been much more had the trial proceeded to the punitive damages award stage. While the disease is rare, many are familiar with mesothelioma and its causal relationship to exposure to asbestos, a once common additive to many industrial and commercial products during the mid-20th century. However, many do not realize that mesothelioma is not the only debilitating condition associated with exposure to toxic asbestos. According to research analyzed by reporters, the case study of one small Montana town highlights just how high the risks of asbestos exposure can be, even if it does not result in developing mesothelioma. The study analyzed the health of the 7,300 residents of Libby, Montana in the years following the closure of a nearby vermiculite mine. The mine operated for decades until its closure in 1990. The vermiculite mined contained asbestos and the Environmental Protection Agency (EPA) declared it a an Environmental Protection Agency Superfund site in 2002. It became one of the largest environmental cleanups in U.S. history.